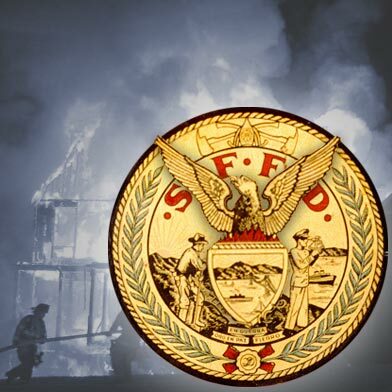 A four-alarm arson fire that burned four homes in San Francisco’s Silver Terrace neighborhood early Tuesday caused nearly $1 million in damage, a fire department spokeswoman said today. The blaze was reported at about 3 a.m. Tuesday on Boutwell Street near Bayshore Boulevard, and was extinguished at 4:51 a.m. The fire caused an estimated $300,000 in damage to the house where it started, at 170 Boutwell St., and destroyed $1,000 in contents at the home, fire spokeswoman Mindy Talmadge said. The blaze also caused $275,000 in damage to 190 Boutwell St. and $250,000 in damage to 164 Boutwell St. Damage to a fourth home at 160 Boutwell St. was estimated at $150,000, she said. At least 10 people were displaced, and fire officials labeled the blaze suspicious after smelling gas and finding a gas can nearby, Assistant Fire Chief Tom Siragusa said. Police arrested Ronald Weeks, 55, and Erin Kennedy, 48, on suspicion of arson, district attorney’s office spokesman Alex Bastian said. The two were apparently squatting at 170 Boutwell St., which had been abandoned after another fire gutted the home almost exactly three years earlier, on July 4, 2009. Investigators said the 2009 fire was caused by fireworks. Neighbors said a group of squatters had moved into the home shortly after the first fire, and a complaint was filed with the city’s Department of Building Inspection in September 2009. Department spokesman William Strawn said the owner of 170 Boutwell St., John J. Noonan, could face litigation from the city attorney’s office for non-compliance with a city ordinance requiring the registration and securing of vacant or abandoned buildings. The official cause of Tuesday’s fire remains under investigation, Talmadge said.